I have to admit I am not a big fan of musicals and neither is my husband. When I start to think about musicals, my mind drifts away but The Lion King musical was a different story. 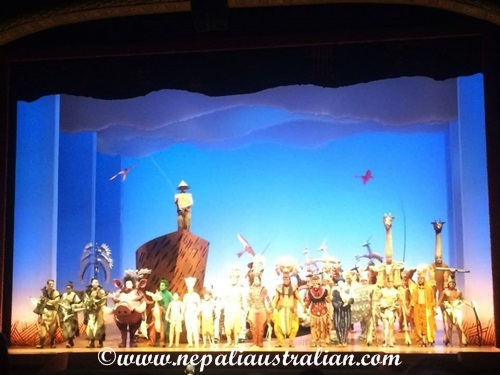 I am sure most of you have heard how amazing The Lion King, the musical is. The show tells the tale of Disney’s “The Lion King” through acrobatics, dance, music and puppetry. 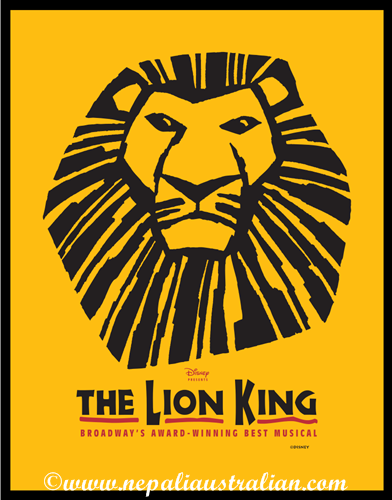 Based on the 1994 animated film, the musical follows the adventures of Simba, a lion cub, as he struggles to accept the responsibility of adulthood and his destined role of King. The musical debuted July 8, 1997, in Minneapolis, Minnesota at the Orpheum Theatre, and was an instant success before premiering on Broadway at the New Amsterdam Theater on October 15, 1997 in previews with the official opening on November 13, 1997. It was Broadway’s fourth longest-running show in history and the highest grossing Broadway production of all time, having grossed more than $1 billion. Since its success, the musical has been produced in many countries and everyone who has watched it has raved about it. It had come to Sydney several times before, but unfortunately, we had missed the opportunity to go and watch it. In order to quench our curiosity, hubby and I decided to go and watch the musical at Capitol Theatre, Sydney this time. The tickets were not cheap but from what I had heard it was worth every penny. We did some research beforehand and bought an aisle seat and the one next to it and it was a great idea. A few times during the show people dressed as elephants, giraffes, birds and other animals walk/danced past us and it is a joy to see them up close. I have to admit, The Lion King is the ultimate live theatre experience, provoking the full range, an abundance of spine tingles, goose bumps, laughter and tears. 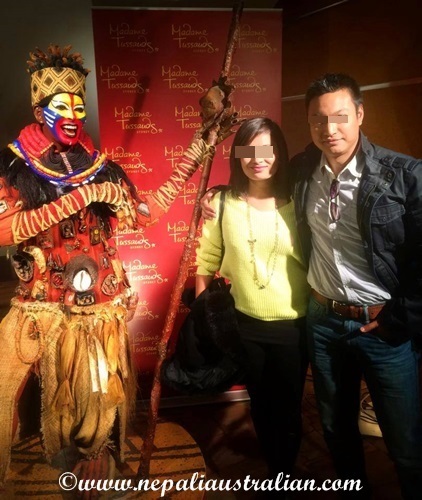 It has dazzling visual delight, with hundreds of masks, puppets, state-of-the-art lighting and more than 700 costumes creating the enchanting backdrop of the Serengeti Plains. It was amazing to enjoy songs like ‘Circle Of Life’, ‘Hakuna Matata’, ‘Endless Night’ and many more which capture both the pain and joy of the characters. When we finished the show, I was still in awe of the colourful characters, heart-warming story and catchy songs. Showing great respect to the source and setting, The Lion King has created a world of rituals, traditions and social hierarchy in which the animals and the land are connected as one. If you every get the opportunity, do not forget to grab the ticket be part of the history of amazing musical. Like me, you may still be humming ‘Hakuna Matata’ even after many days :). Have you watched any musical? Please share your experience. 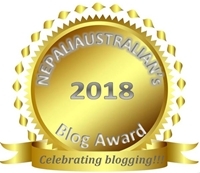 This entry was posted in Celebrations and tagged australian, australian nepali, M from nepaliaustralian, made in nepal, musical, Nepal, Nepalese, Nepali, nepali australian, Nepali blog, Nepaliaustralian, The lion king. Bookmark the permalink. I know what you mean. Many years ago before the Lion King there was similar show called Timbuktu and it is African themed as well with colorful dress and elaborate headgear. It was very exciting.